Recently, All Stars legend Aja released the music video for ‘I’m Kawaii / Ayo Sis’. These two songs feature on her recent EP, ‘In My Feelings’. Aja has combined the two songs into one video which some might say is an interesting choice. However, there is no doubt that this video is EVERYTHING and the two songs complement each other perfectly. The video opens with ‘I’m Kawaii’. We see alternating shots of Aja in different outfits, surrounded by cuddly toys and bubbles whilst lounging in a bath. It really sets the scene for the song which is all about the ‘kawaii’ culture that influences Aja’s looks. The first verse and hook have been cut from this version, so it starts with the post hook and moves into the second verse. Don’t let the cute pastels fool you though, Aja’s music is punchy. The lyrics always have a point to make and she takes no prisoners when it comes to haters. Side note: this makes Aja’s album a motivating gym soundtrack. You won’t be slacking on those squats with this in your ears. We then get a transition into ‘Ayo Sis’. If you thought ‘I’m Kawaii’ had some kick, wait until you hear this anthem for the ‘femme rebels’. Entitled after this queen’s iconic catchphrase, this song celebrates the women that have inspired Aja. This section of the music video is a little less anime, a little more urban or ‘banjie’ as Aja would probably say. (Can you tell I am from a tiny village in the English countryside and not the streets of Brooklyn?). There’s backing dancers, broken down cars and bedroom scenes. It’s fierce and I expect nothing less from Aja. This week’s favourite lyric is: “Army multiplying so they call that mitosis”. Anyone who can get biology into a song deserves a medal. Once again, this talented artist has created a whole story with a music video. Aja’s aesthetic influences are embodied by the combination of these two songs into one music video. It’s effective, it’s inspiring and it should be watched on repeat. 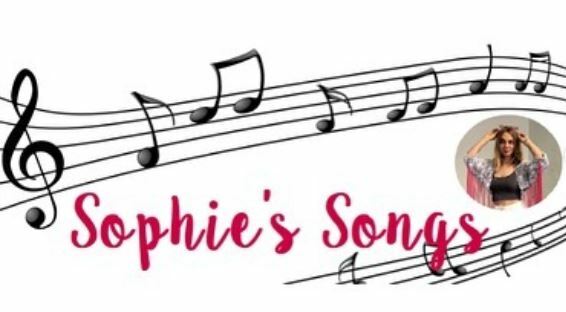 Thanks for reading another Sophie’s Songs. You can follow me on twitter & Instagram for my covers & keep an eye out because PLOT TWIST my dad is getting a dog.